Just choosing a selection of numbers was all it took for these fortunate winners to scoop some enormous sums of money on lottery jackpots. We are going to take a look at the all-time largest lottery winners from around the world. The largest jackpot wins of all time have come from the United States, thanks to the immense size of the Powerball and Mega Millions lotteries. So the biggest lottery win ever was the $1.58 Billion which was won in January 2016 by three separate ticket-holders in California, Tennessee and Florida. The second and third highest jackpots were won on the MegaMillions Lottery and they were worth $656 Million and $648 Million respectively. Powerball was responsible for 9 of the next 10 highest jackpots, which just goes to demonstrate the absolutely enormous prizes on offer from that particular lottery. One factor to be taken into account is that in the US lottery winners are taxed on their winnings, meaning that quite a chunk of your winnings will go back to the government. For example, that record-breaking $1.58 Billion win was actually worth $983 Million in cash after taxes were deducted. Then that amount had to be divided among the three winning ticket-holders, leaving them with a mere $328 Million each. Hardly worth buying the tickets! 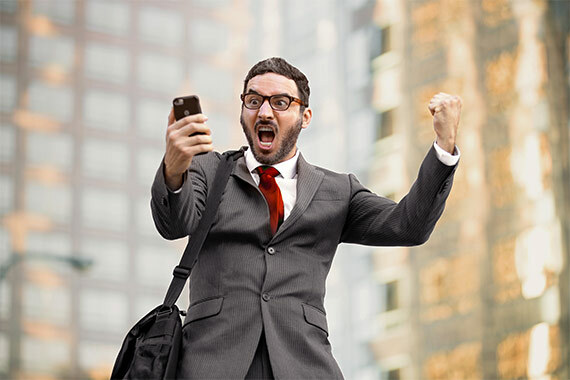 Although the jackpots on offer in Europe tend to be a little smaller than the American giants, there is the considerable advantage that most European countries don’t impose any tax on lottery winnings. The biggest European lottery win was the jackpot of £161.7 Million won in July of 2011 in the UK by a Scottish husband and wife. Another British couple claimed the second biggest prize of £148 Million. When it comes to the EuroJackpot lottery, the biggest winner has been for the amount of €90 Million which is the maximum amount which can be won on this lottery. In fact, there have been three separate jackpot wins of €90 Million with tickets being bought in the Czech Republic, and then in Germany by the first two winners. The third €90 Million jackpot was split between 5 winners in Germany, the Netherlands and Denmark. You can purchase EuroJackpot tickets in 17 different countries across Europe, but of course with Lottoland it doesn’t matter where you live as you can bet on the result to win the top EuroJackpot prize. Of course there are a wide range of lotteries from all over the world available at Lottoland, so let’s take a look at some of the big jackpot wins from different countries. 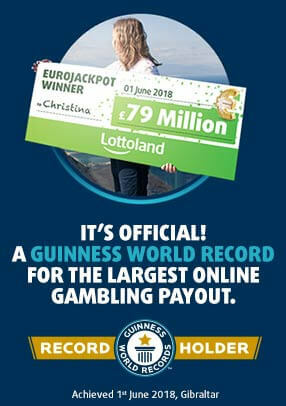 €177.7 Million was the largest ever SuperEnaLotto win back in 2010. Three people shared the German Lotto jackpot of €45.4 Million while two split the largest British jackpot of £66 Million. Spain’s El Gordo jackpot prize fund is famously gigantic but the total amount is distributed generously between different tier winners meaning that the top jackpot won to date has been for €4 Million. The record for Australia’s Oz Lotto stands at a jackpot of $112 Million AUD which was shared between 4 winners in 2012. Moving over to Asia, the biggest Hong Kong Mark 6 Jackpot won to date stands at just over £13 Million. 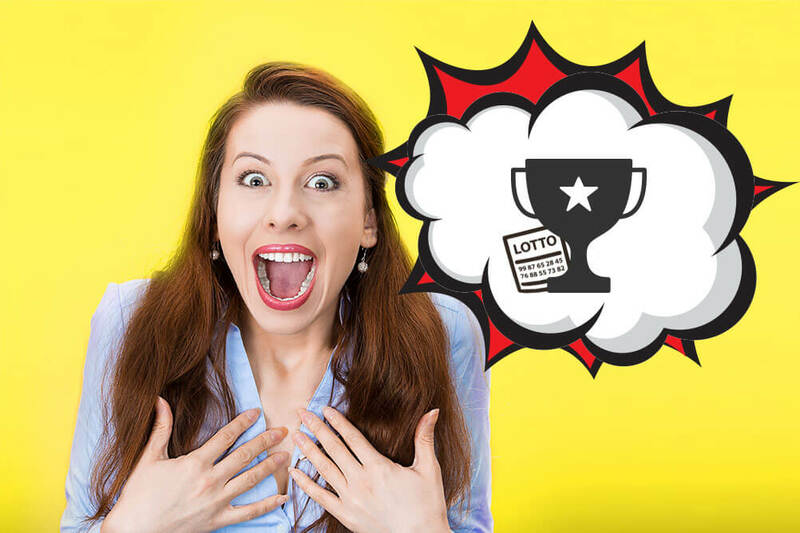 At Lottoland you have the chance to bet on many international lotteries and there have already been some very big Lottoland winners including a number of new millionaires. Our record winner (so far) is Matthias from Germany who won a fantastic £17 Million from betting on the outcome of the German Lotto. We’re hoping that another Lottolander will smash that record soon, and we are now offering bets on more than 25 international lotteries to our British Lottolanders.